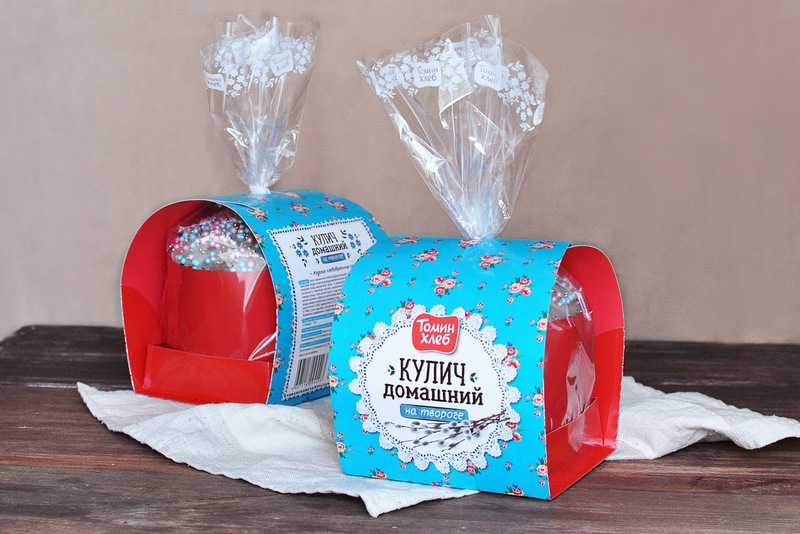 Even not very religious people take the Bright Easter holiday with warmth and tenderness. Spring is in the air. Trees start being green. 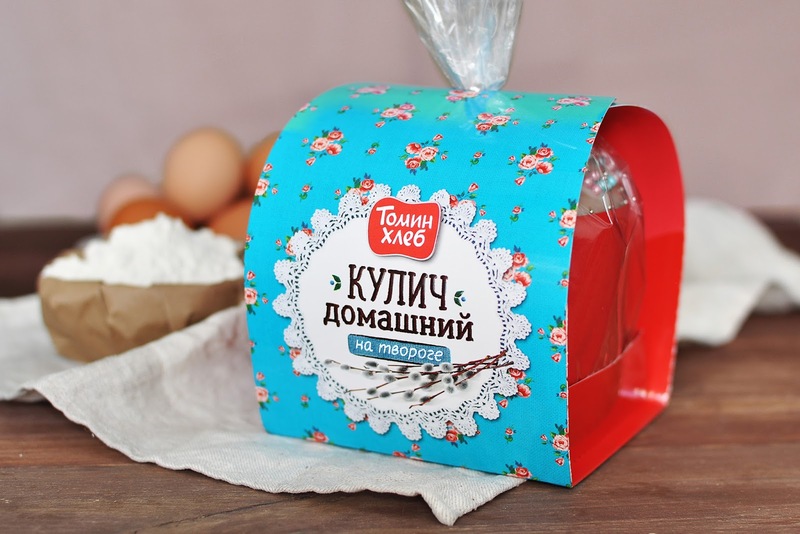 Adults and children, according to tradition, paint eggs and buy Easter cakes. 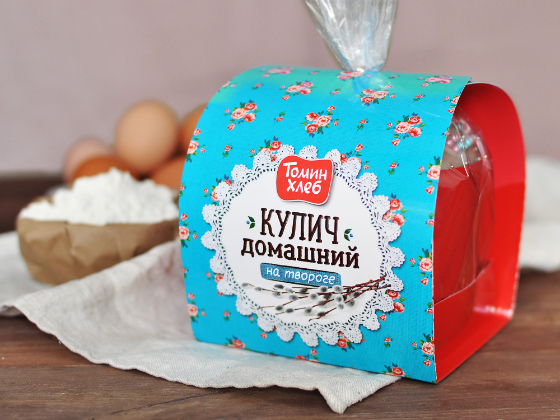 Time for cooking as always is not enough, but you want to eat a cake like your grandmother made in childhood. Not a modern cupcake, but cake. 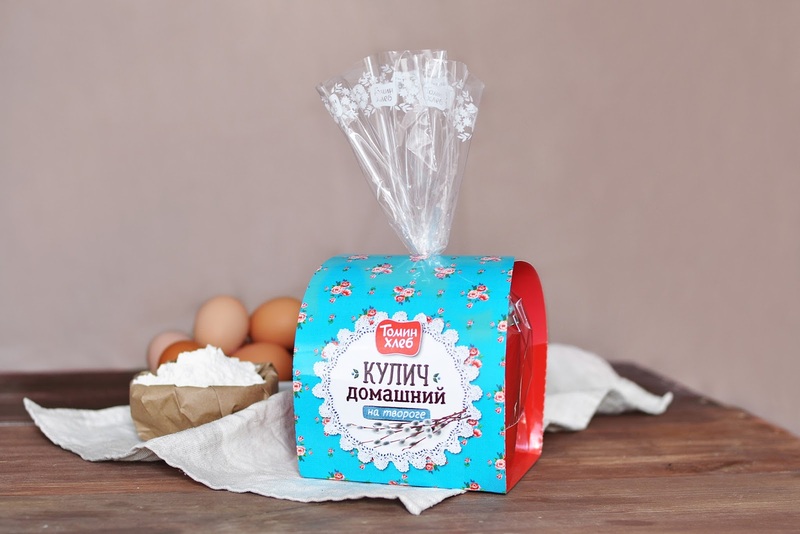 "Tomin Khleb" produced Easter cake on cottage cheese, with a short shelf life, which indicates the naturalness of the product and the absence of preservatives. 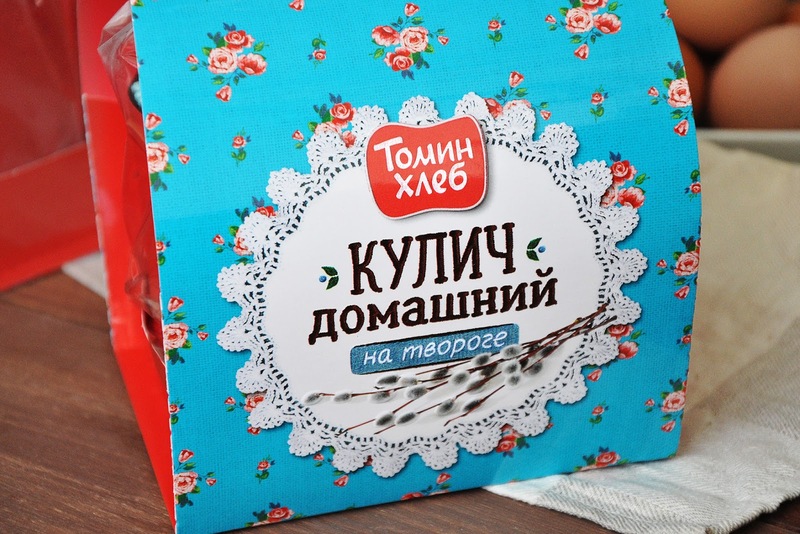 Pavlov's Design recalled their childhood and their grandmothers in calico dresses, who dressed up in something brighter for a holiday, covered lace tablecloths on a table or laid out starch lace napkins, put on the table freshly cooked cakes, painted eggs in a basket and waited for their natives to come. 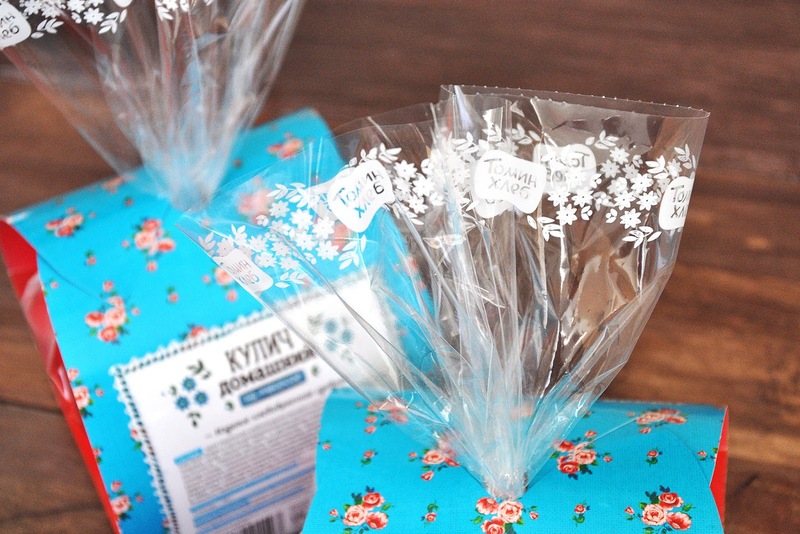 The package design, developed by Pavlov's Design, shows the product itself, wrapped in a knot of chintz. 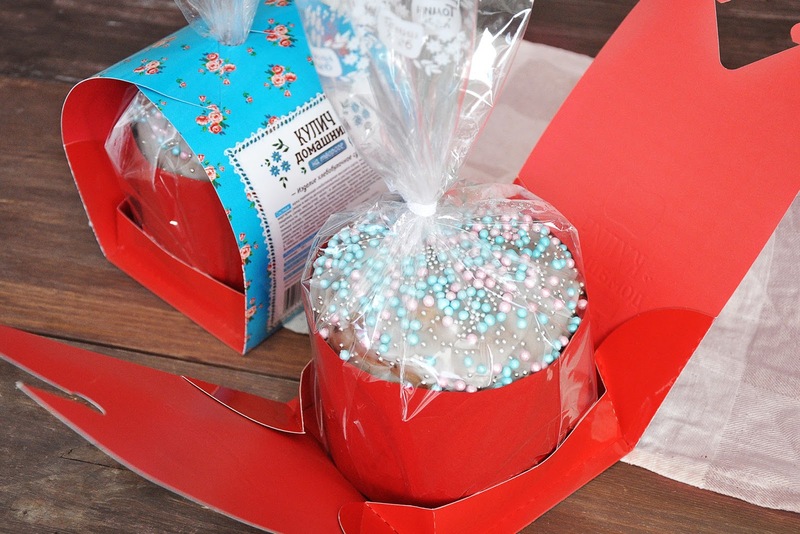 Red color for the inside of the package is not chosen by chance - it symbolizes hidden treasure, something important that you need to keep. 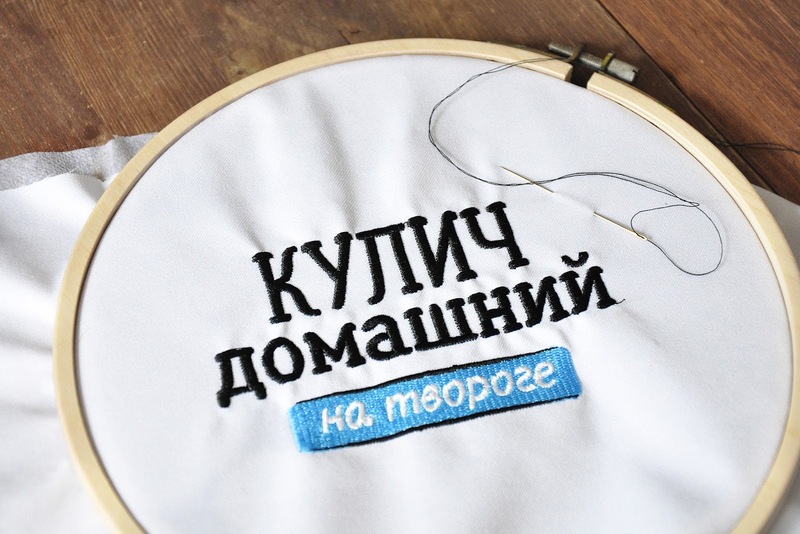 A manual labor – embroidery – was specially made for package design.